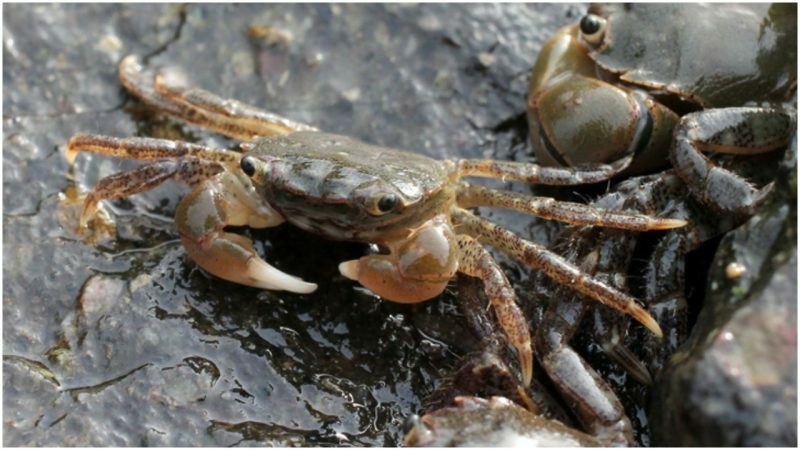 In 1964, a curious scientific paper was published by one Gordon C. Creel, featuring a description of an extinct species of crab, discovered in a salt water spring east of Estelline, Texas. Although it’s primary habitat should have been something more along the coastline of the Pacific, Hemigrapsus estellinensis found life in the Estelline hypersaline springs, some 500 miles (800 km) from the nearest ocean, where it thrived for tens of thousands of years. It was concluded that this crab was endemic to the Texas Panhandle, but by the time the paper was published, it had already gone extinct. The reason behind this was a dike built by the United States Army Corps of Engineers around the Estelline Salt Springs. The salt springs of Estelline fed into the much larger Red River, and the ring-like dike was constructed as part of a flood control effort, as well as a successful attempt to prevent the salt from the springs reaching the river. Two years prior to this intervention, Creel had collected six male and ten female specimens from the springs and used one of them as a holotype, i.e. a single physical example used for the description of all others. While all 16 specimens were primarily kept in the National Museum of Natural History, several of them were transported to Wayland College for further examination. However, the crabs died from unknown reasons some 17 hours upon their arrival. In the meantime, two female specimens managed to lay 3,000 and 8,000 eggs, respectively, just before their death. Unaware of the importance of the discovery made by Gordon C. Creel in 1962, the U.S. Army followed through with their plans in January 1964, just before Creel could publish his research. This act led to a disturbance in the level of salt in the water, affecting the entire ecosystem of the Estelline springs. With the rise in salinity, the Red River pupfish, as well as a number of algae and cyanobacteria were also jeopardized, leaving the once-vibrant and closed community of life forms exposed to such a rapid change of environment that there are almost no living creatures in Estelline spings nowadays. 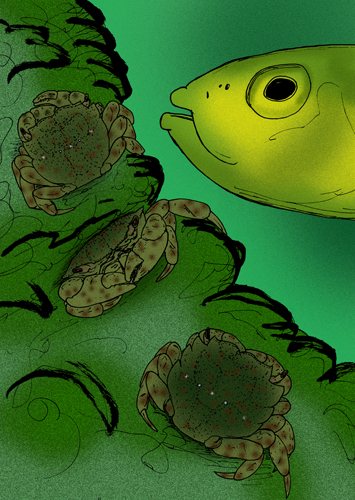 Nevertheless, the discovery of this crab species was considered in scientific circles as a “Pleistocene relic”, marking it as a phenomenon in which a creature from the Ice Age managed to survive due to specific natural conditions of its surroundings. Described as having a rectangular carapace with almost parallel sides, it was concluded that male specimens have a carapace length of up to 18.5 millimeters (0.73 in) and width of up to 22 mm (0.87 in). The females, on the other hand, have a slightly smaller carapace of up to 17 mm (0.67 in) long and 22 mm (0.87 in) wide. The front corners of H. estellinensis’ carapace form into three strong teeth on each side. 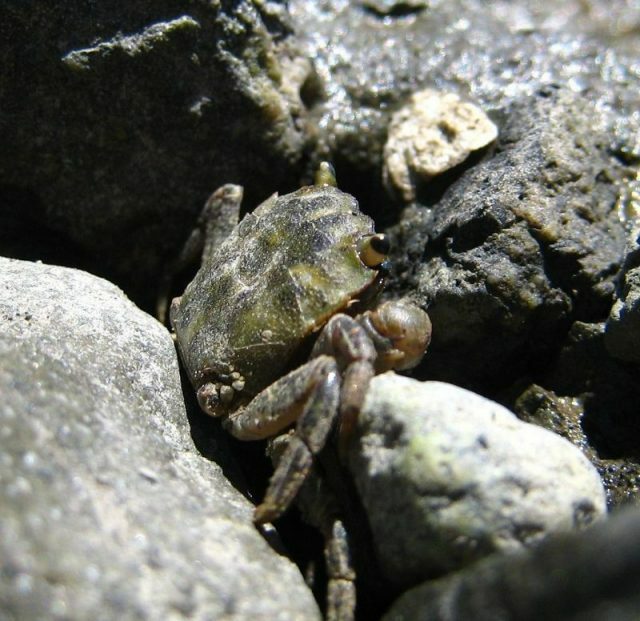 The closest relative of the Estelline crab is the Hemigrapsus oregonensis or the Oregon shore crab, from which it physically differed by several traits –the most notable of them being rust-red spots sprinkled over its back. 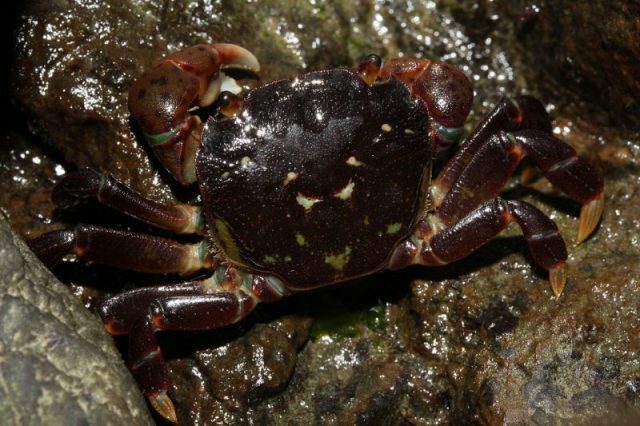 These species exist today and inhabit San Francisco Bay, and coastal areas of Oregon and Washington states. Apart from H. estellinensis, whose discovery sparked great interest, although violently interrupted, the research which took place in Estelline also lead to the discovery of a unique species of barnacle, which died out before it could be thoroughly described. 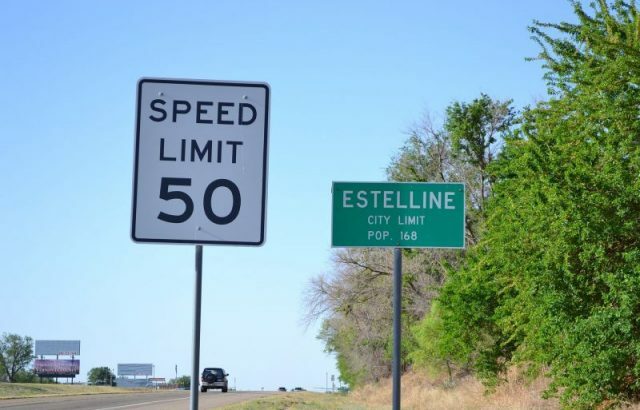 While the flood lands around Red River were contained for the benefit of the local population and the nearby military facilities, the case of H. estellinensis was handled with no care whatsoever by the authorities. Therefore the situation, unfortunately, caused the extinction of one the oldest living species in the world ― one that, if preserved, might have provided answers to many of our questions, and perhaps even contributed to the advancement of mankind.